Without some kind of incentive, I probably wouldn't have even stumbled across Riverview Tavern. It is located in the farther neighborhood of Roscoe Village and hasn't really been on the mainstream radar. Luckily for me, my buddy mentioned a bourbon barrel aged beer event at this bar so we decided to check it out. 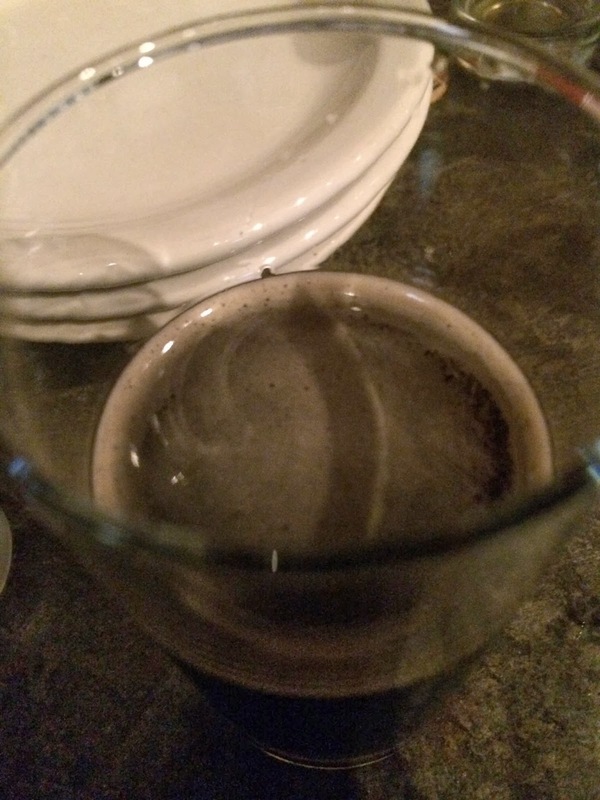 The bar was like any old typical bar in Chicago, but that day, they had over two dozen different barrel aged beers. It was essentially heaven for beer enthusiasts. After sitting down with a glass of Bourbon County Stout, we decided to also order some brunch. The food itself was just OK. It was pretty bland and nothing that unique. They are generous portions especially for the cost, so that is definitely a plus. But, honestly, I wouldn't crave anything I ate or tasted... except for maybe those fries. The service was pretty poor, but that may just be because of the overwhelming number of customers (for their beer event). I doubt ill be eating food here anytime soon, but I will definitely come back for Festi Barrel 2015... if they have it. For now, a 3-mile rating is all I could give them. 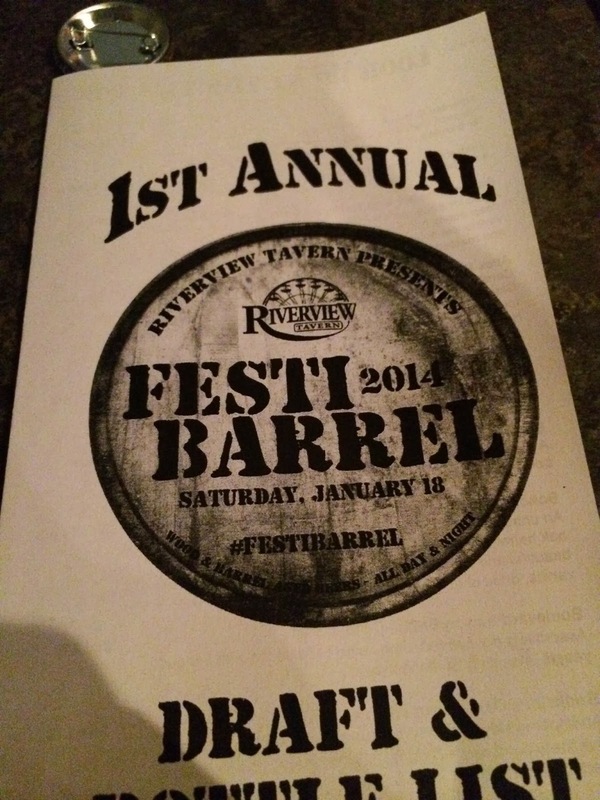 One of my buddies had the inside scoop on the 1st Annual Festi Barrel. This was a special event featuring bourbon barrel aged beers with the beneficiary being the victims of the Washington, IL tornado. It was great. 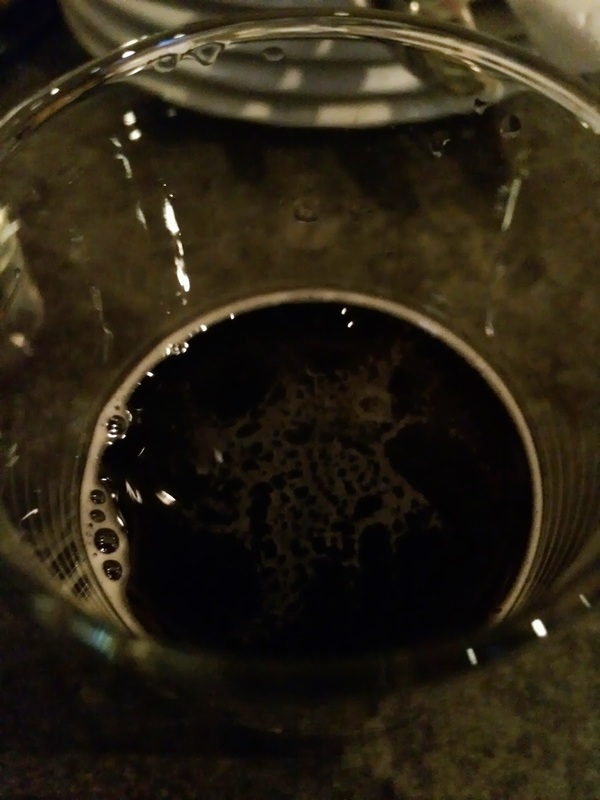 They had more than two dozen different barrel aged beer kegs from the popular Bourbon County Stout to interesting pinot noir aged beers and even one named cappuccino. All of the beers were served in tasting options, so my friends and I were able to at least taste a dozen or so beers. As usual, a wonderful raffle also took place and everyone was still able to order off their brunch menu for food. Great event; can't wait till next year! Not having a torta in a while definitely influenced my decision at Riverview Tavern. And, not having a Cuban sandwich in even longer made my choice a no-brainer. I had the Torta Cubano which was a sandwich served on the typical telera torta roll and filled with carnitas, ham, swiss cheese, pickles, and mustard. It came with a side of parmesan dusted fries. The sandwich was lightly pressed to hold it all together. All in all, it was just an OK cuban sandwich. They added way too many pickles (and thick pickles at that) so it had an awkward crunch and vinegary flavor to it. The mustard was too minimally and almost non-existent. The meat itself was tasty, tender, and plentiful. Personally, I would pass on the sandwich next time... but those fries! They are glorified Burger King fries (and yes, this is a compliment). I haven't had fries this good in a while. I know what I will be ordering next time. One of my buddies stuck with the breakfast side of their brunch menu. He ordered the chorizo benedict, basically a Mexican twist on the classic eggs benedict. The dish was composed of two english muffins topped with poached eggs, a chorizo infused hollandaise sauce, avocado slices, and a house made pico de gallo. Of course, house potatoes were also served. He gave me a huge bite of the chorizo benedict and I thought it was an interesting spin. There was a pretty heavy spice to the chorizo, enough to give an after burn. The avocado added the creamy texture and that pico enough freshness to cut the oiliness from the chorizo sauce. It was a pretty large plate and good value also. I feel like I really enjoyed the one bite, but wouldn't want to eat an entire dish of it. - Do order their breakfast burritos. A couple of my other friends ordered them and they came out huge. They both cleaned their plates, signifying a tasty burrito. - Plenty of street parking (non-permit), so definitely drive and park on the residential areas. - This wouldn't be my first choice for brunch.